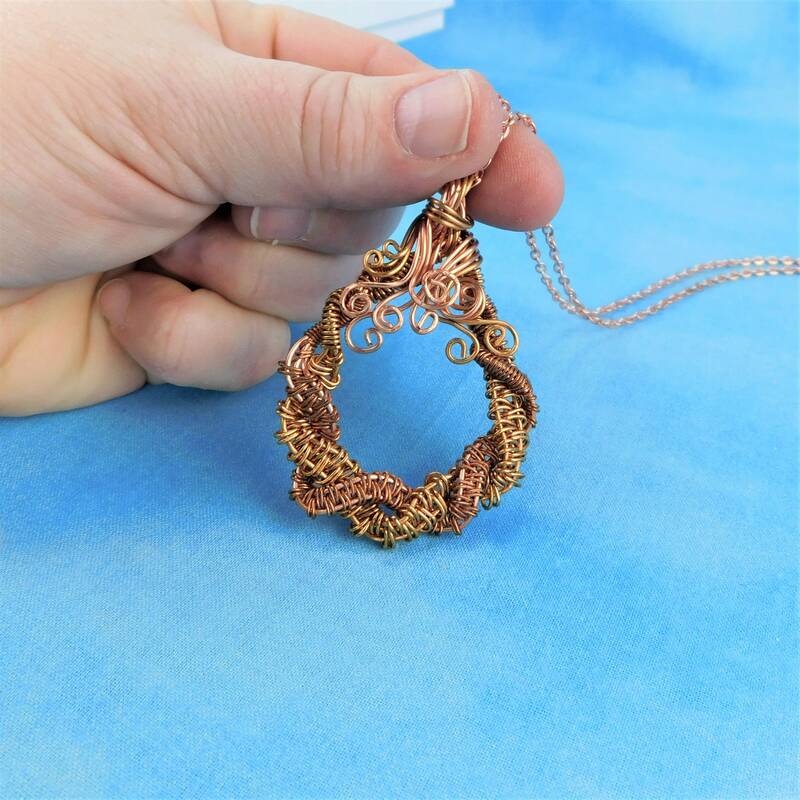 Two shades of non tarnish copper wire are hand woven into a double weave wreath. 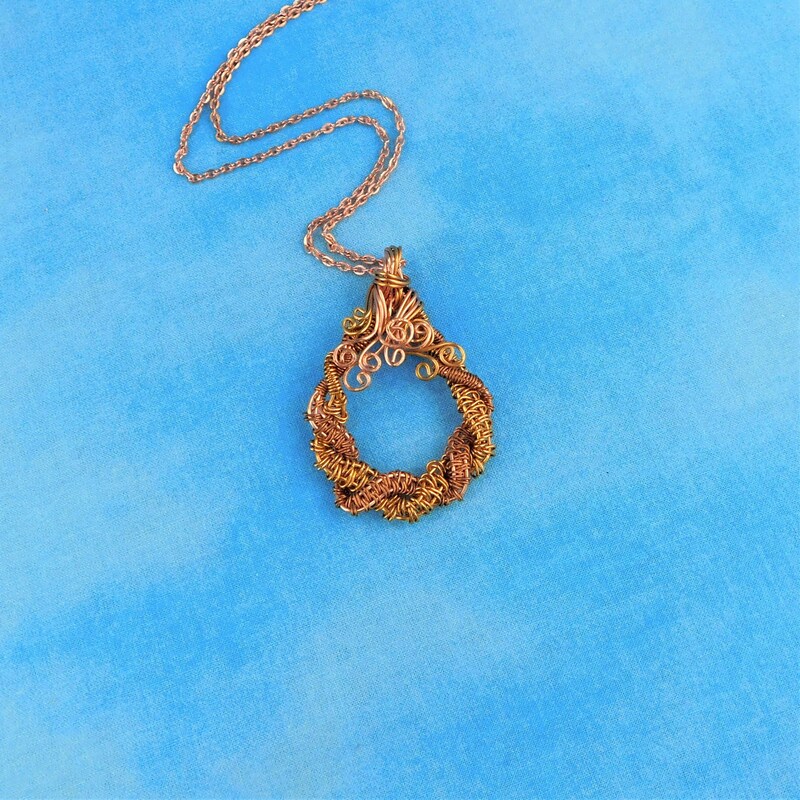 The substantial size of the pendant would make the perfect accent to those warm winter outfits, or jeans and a T-shirt. 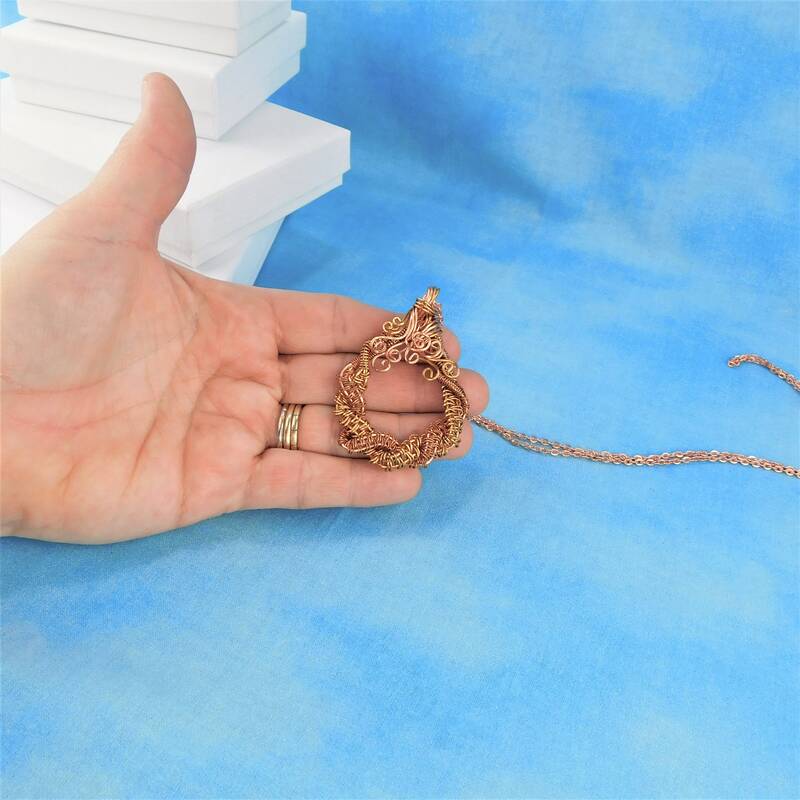 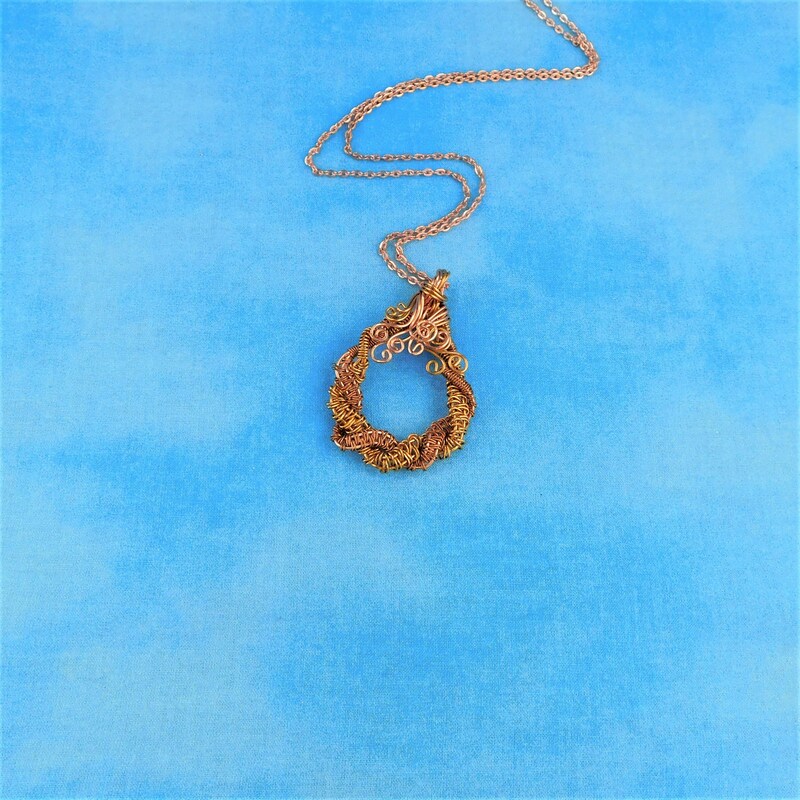 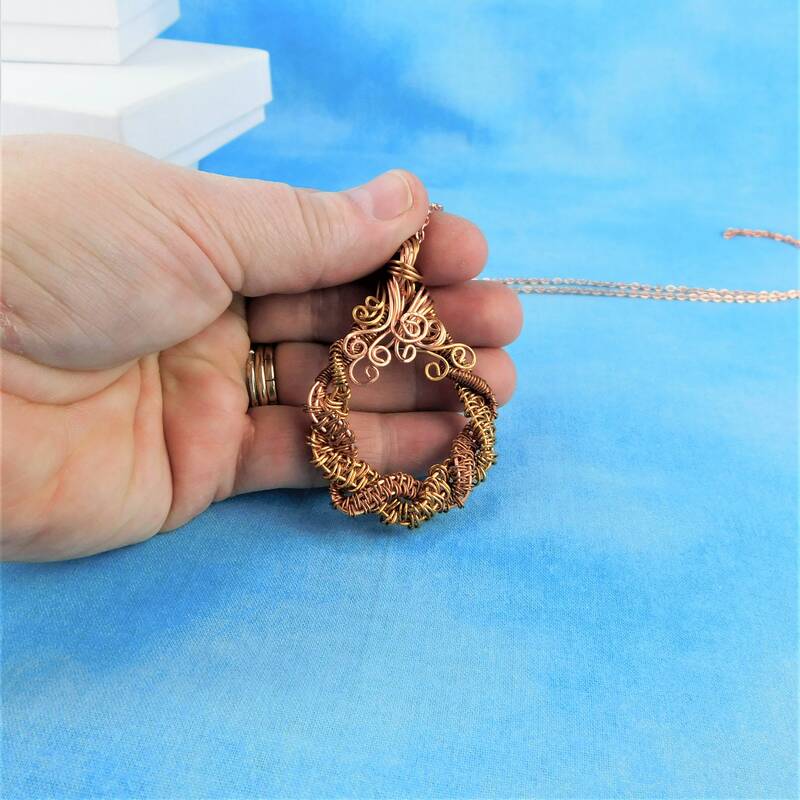 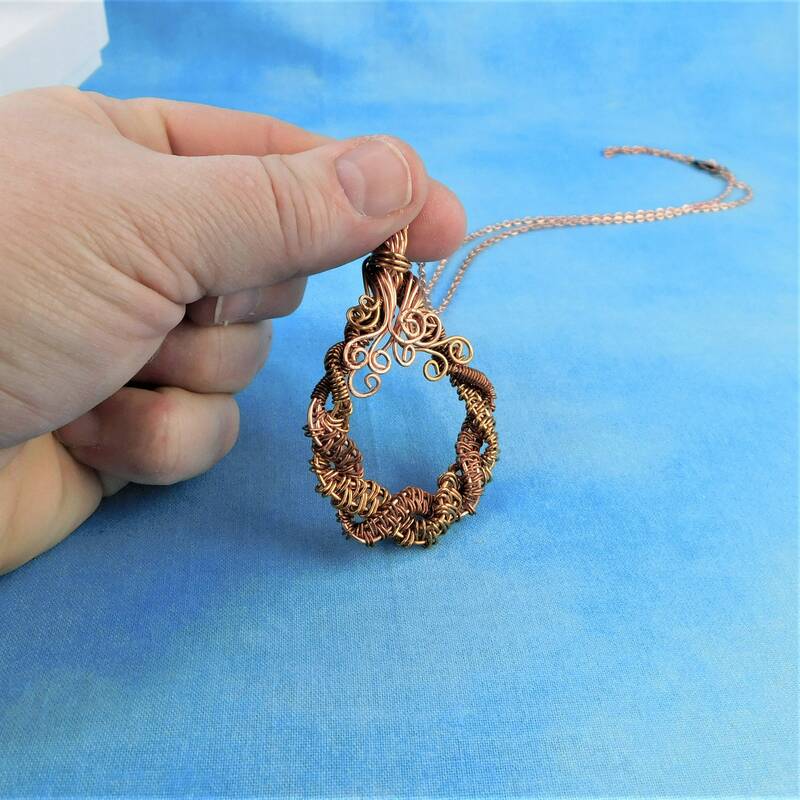 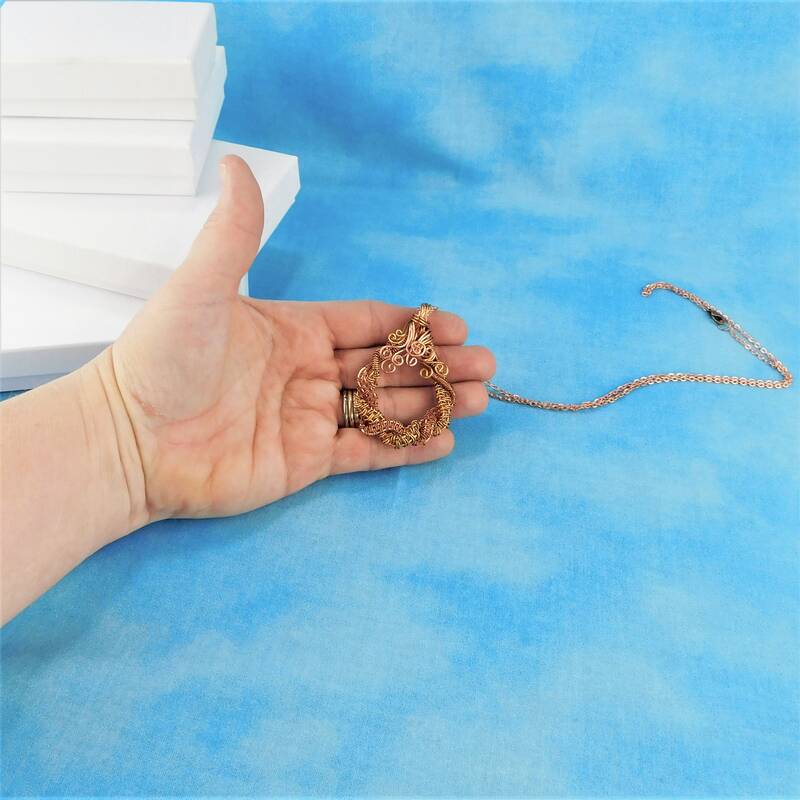 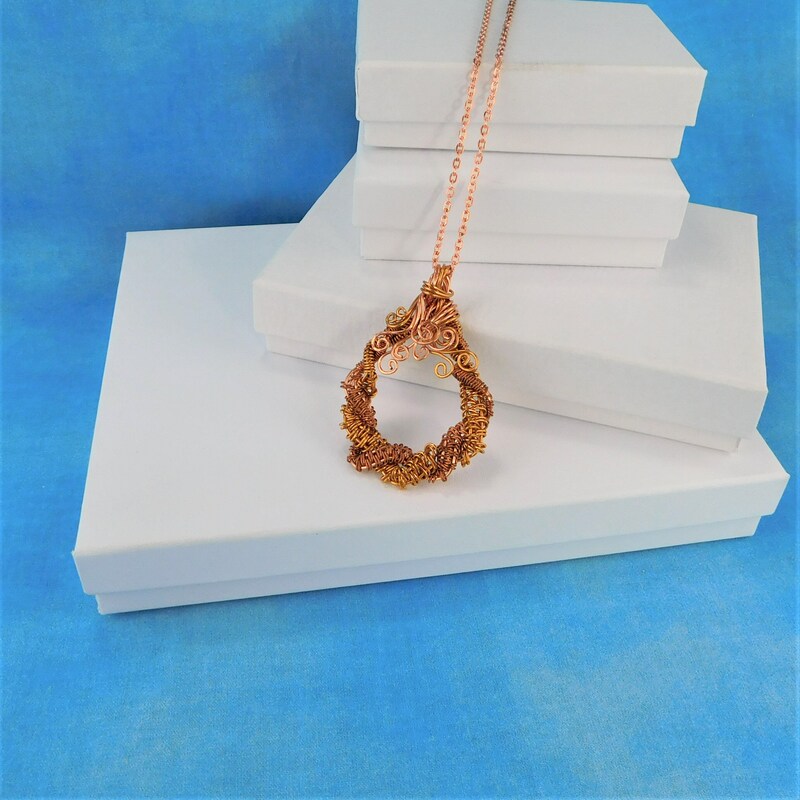 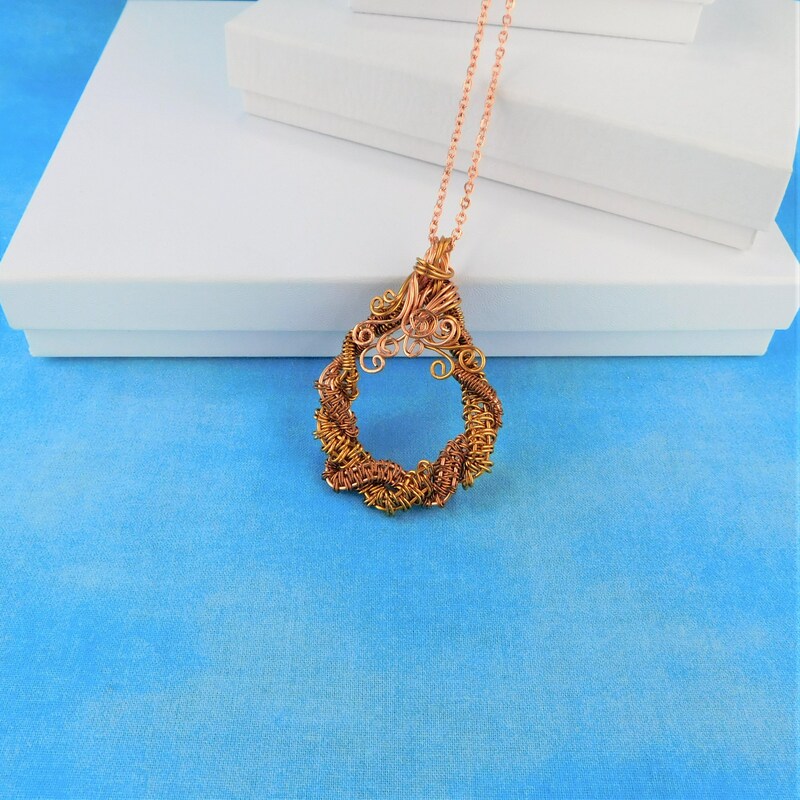 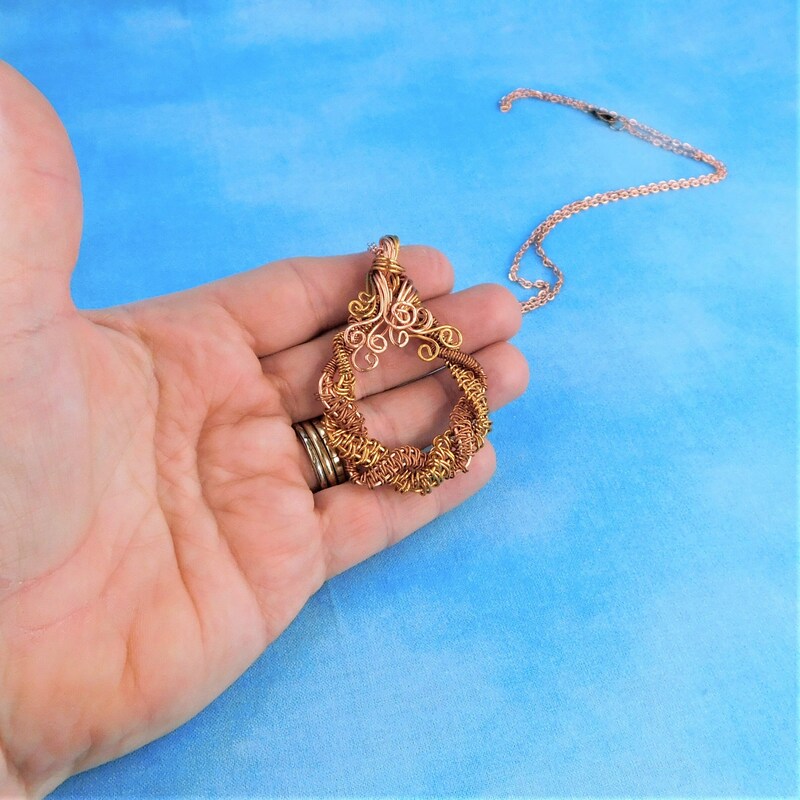 This large pendant measures 2 inches long by 1 1/2 inches wide and comes with a FREE coordinating chain with lobster claw clasp, measured to your preferred length.